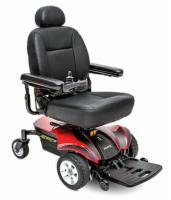 AmeriGlide of Lexington is proud to offer the lowest price you will find on a Jazzy power wheelchair anywhere you'll look, whether you're shopping online or in a store. Our AmeriGlide Jazzy Freedom beats the retail price of comparable competitor products by thousands of dollars! Call us today to learn more about the AmeriGlide Jazzy Freedom! 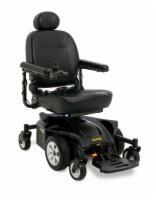 This Jazzy Power Chair offers all the features and benefits everyone has come to love about the Jazzy product over the last 15 years. Quality, service, support, and now, the best price in the industry. Give us a call and let Amerglide of Lexington help you solve your moblity needs. In-line motors, front and rear casters for stability over all terrains, and an ultra-durable body frame - all at a fraction of the price of comparable power wheelchairs available from our competitors!